Exciting news for Casumo players this week with the phenomenal new game release, Astro Pug from Lightening Games, a new slot partner as Pragmatic Play come on board, and lots of cash prizes to be won in the latest Reel Races. If you’re not already a member of Casumo you can join today to claim 20 spins on Starburst (Ts and Cs apply, 18+, New Customers Only), or read our Casumo Casino Review to find out more. Fans of Lightening Games bonkers slot, Astro Cat can lick their lips in anticipation of what the follow up might bring! Get ready for Astro Pug. This Asian-themed game is available EXCLUSIVELY at Casumo for the next 2 weeks! Astro Pug is a 5 reel game with 1,296 ways to win. 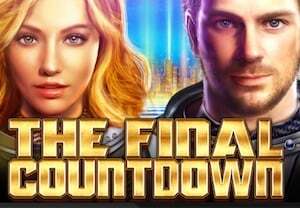 It comes with colossal 4×4 Reelfacta symbols, wild multipliers (up to 4x) and sticky wilds in the free spins round. Don’t miss out – get a piece of the action early at Casumo.com. Pragmatic Play have a mixed bag of slots, but recent release, Da Vinci’s Treasure, with a massive 48,000x top payout and high, high variance, shows they are open to moving in new directions. That’s great news for Casumo players, because these guys have signed a deal with Pragmatic and they are adding all 60 titles to their catalogue. That means alongside Da Vinci’s Treasure you can also play Wolf Gold, 3 Genie Wishes, Madame Destiny and Queen of Gold. These games will be launched over the coming weeks. You can easily jump to the game of your choice in the Casumo browser by typing the name into the search bar. It’s that easy. Look out for Pragmatic Play Reel Races to celebrate the new launch! Plus there are lots of the usual daily reel races in the coming weeks. There is always at least £1,000 to play for in the 8pm Race, with one featured game to play. Quickspin’s Big Bad Wolf and £2,000 be won. NetEnt’s Twin Spin and £2,000 be won. Push Gaming’s Jammin’ Jars and £2,000 be won. Play n Go’s Fire Joker and £2,000 be won. Quickspin’s Dwarve’s Gone Wild and £2,000 be won. There are lots of exciting titles are going live at Casumo this week. If you’re a fan of Quickspin then be sure to check out the tech-crazy Big Bot Crew, and from Push Gaming there is the very excellent Jammin’ Jars. Elsewhere there is an innovative new title from Microgaming associates, Just For The Win. It’s called Sidewinder. 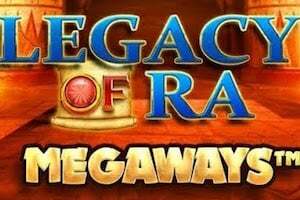 And BTG Megaways™ fans can feast on what must surely be one of the slots of the year, Genie Jackpots Megaway™ – a fusion of one of our favourite Progressives and the revolutionary BTG slots engine that here creates 15,625 ways to win. Also on the release schedule this week is Street Magic by Play n Go, Da Vinci’s Treasure by Pragmatic Play, and Jaguar Moon by Greentube. If you haven’t already signed up with Casumo, make a point to do so this week. This is one of the best UK slot sites around. Since their launch in 2012 Casumo have blazed a trail with Reel Races, Trophies, Rewards and a massive game catalogue to please any slots player. There are hundreds of the very best games to choose from, as well as an excellent fast and free cashier and 24/7 support.